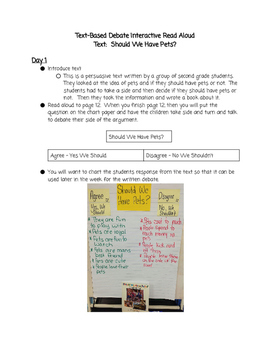 This interactive read aloud is set up as a debate and also where students write about reading. 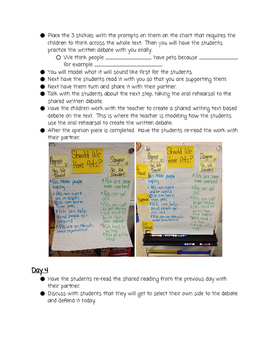 The students participate in the debate and then at the end they will write about the reading. The plans include pictures of charts that were created. 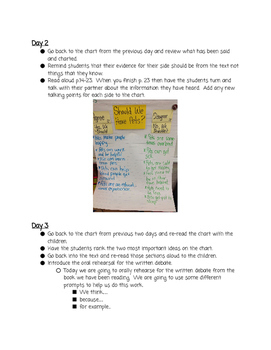 The plans also include the final writing about reading pieces produced by 2nd grade students. The writing has been leveled and then a rational for the level of the writing is given. This was the first attempt at writing about reading by these students. 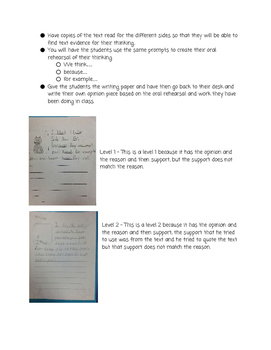 This could be used by many different grade levels and the writing would be the difference with the grade levels.